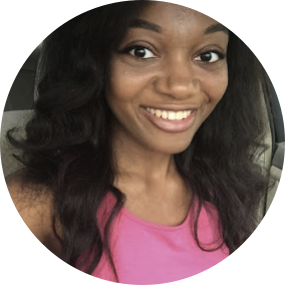 Read Ashley B's review of Night School. Star Kevin Hart and producer Will Packer, who partnered for the hit Ride Along and Think Like a Man series, bring their signature style to Night School. The comedy from director Malcolm D. Lee (Girls Trip) follows a group of misfits who are forced to attend adult classes in the longshot chance they’ll pass the GED exam. 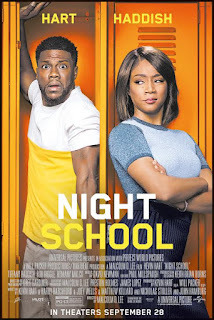 Night School stars Kevin Hart and Tiffany Haddish as Hart’s character Teddy Walker has to return to his high school to get his GED. Haddish’s character Carrie lets him know quickly that in her night school class, she means business. Can Teddy Walker overcome his issues with school and deliver laughs along the way or is this movie a dropout? Let me start of with I am not a fan of Kevin Hart so I went in this movie very reluctantly as many of his jokes play off of his height and it’s getting redundant. I on the other hand am a huge fan of Tiffany Haddish’s comedy and hoped that she kept her crown of Hollywood’s new comedy queen. I was shocked when they were few jokes poking at Hart’s height and I found myself laughing throughout the movie. There were so many comedians in this movie that I was not expecting to see and even some new comers that I hope to see in more movies. The night school roster was so different and came from all walks of life but they somehow meshed together to form a cohesive and dysfunctional class. There were a lot of familiar faces from other movies and tv shows I’ve watched and the laughs did not disappoint. As with most comedy movies like this the plot was more than predictable. That however is not the reason I watch movies like this and choose laughter over deep thinking and want to get lost in the comedy instead. That being saying I will have to watch this movie again from the audience, including myself, laughing so hard from one joke and not being able to hear the ones that follow right after. As a result I will be watching again and probably several times after that because the humor was great. There was not any point in the movie where the laughs died down for longer than 10 minutes at a time which is the perfect amount before being too much and your stomach feels like you just did an ab workout. If you want to watch a mindless movie full of laughs and a good time then it’s time for you to attend Night School.